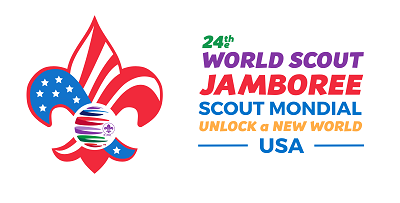 Are you ready to “Unlock a New World” at the 2019 World Scout Jamboree? 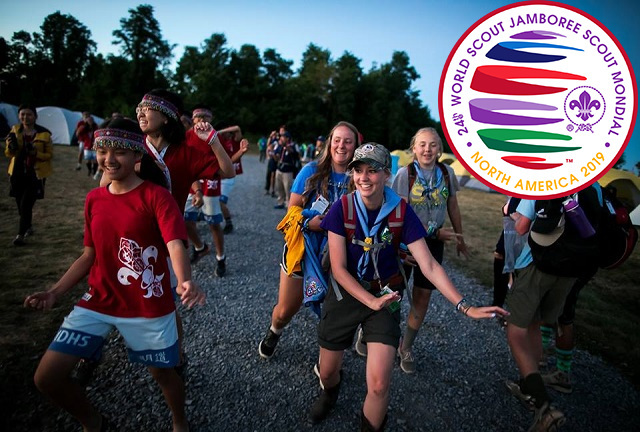 Registration is LIVE for the 24th World Scout Jamboree! This historic event will be held July 22 – August 2, 2019 at the BSA’s high-adventure base, the Summit Bechtel Reserve in West Virginia. If you want to attend as a participant, you must be between the age of 14 and 18 (born between July 22, 2001 and July 21, 2005 (no exceptions). Adults over the age of 18 can serve on the International Service Team (IST) and as unit leaders. All participants, unit leaders and IST must be members of the Boy Scouts of America. The WSJ Contingent is open to all Boy Scouts and Venturers who meet the age requirement. In addition, Scouts must meet the physical requirements for attending the Summit Bechtel Reserve, found on the Summit Health Form. Click here to view the Scouting article, including registration costs. The Jamboree will provide tent and patrol cooking gear for each unit. Participants will be responsible for bringing their own personal gear, including a sleeping bag and pad, Scout uniforms (Class A or Field Uniform), and casual Scout wear (Class “B” or Activity Uniform) shirts. A packing list will be available soon. You can view the 2017 National Scout Jamboree Packing List for ideas. Summit has excellent cell and WiFi service. Basecamps have electrical outlets for charging your devices. The World Scout Jamboree is an experience of a lifetime! In 2019, Scouts from the United States will have an opportunity to camp with thousands of Scouts from around the world! Watch a video to learn more or visit the 2019 World Scout Jamboree website.